Thank you for using our website. It has been created to give you the convenience of researching and planning to buy your flooring 24-7 on the Internet and then having it delivered right to your home. We want you to have the best service, and the following terms will help explain how we will process your order. Please read them carefully as they contain important information. A few things you should know before placing an order. We have made every effort to ensure that the information and content of this website is accurate and up to date and it is given in good faith. We cannot be held liable for any errors, omissions or changes in price, resulting in any loss or damage. We reserve the right to change these terms and conditions at any time. Last updated 18/11/17. It is your responsibility to read the terms and conditions on each occasion you use this website and your continued use of the website shall signify your acceptance to be bound by the latest terms and conditions. Certain services on our website will require registration and subsequent access to those services will be subject to a login name and password. Information that you provide must be accurate and complete. All Passwords Details are accepted and may be withdrawn at our discretion and are exclusive to you and non-transferable and must be treated as strictly confidential at all times. In you have any concerns regarding your Password Details or become aware of any misuse then you must inform us immediately. For online orders we will send you an order acknowledgement email detailing the product(s) you have ordered. This is to inform you we have received your order and we will be processing it. Please note that this email is not confirming the order or an acceptance of the order. Once we have received your order, we will check the necessary information such as stock levels and pricing, we will then contact you to arrange a suitable date for delivery. In the unlikely event that the goods are no longer available, or that we have made a pricing, or description error, we will advise you of this and there will be no contract between us. If we do not get a response from you within seven days, will cancel the order and issue a refund. Until this point you may vary or cancel your order. We must receive full payment of the price of the product(s) before we can accept your offer to purchase products from us. Only with the acceptance of your order, is a binding contract created. Sometimes products are withdrawn or changed by our suppliers without our knowledge. All orders are subject to availability. If we discover that the product(s) you ordered is/are no longer available, we will notify you and provide a refund of any money paid to us for the product(s) unless a longer delivery period is agreed with you. We reserve the right to withdraw any products from this website at any time before we accept your order, and we will not be liable to you, or anyone else, for withdrawing products. We will do our best to offer an alternative for your approval. Delays may occur for various reasons, e.g. material shortages, import delays, higher than anticipated demand. The floor.style will make every reasonable effort to keep you informed of any delay. However we will not offer any compensation for delays as this is outside of our control. Under the Distance Selling Regulations, you have a right to cancel your order for any item(s) purchased in your home within seven days from the day after the goods are delivered. This right does not apply to products specifically made to your specifications and this includes floor coverings which have been cut from a roll to your specific order size. If the goods are excluded from your right to cancel, but they have not already been cut to your specifications, we will accept a cancellation of your order and refund your money. To cancel, you can e-mail us or write to us within seven working days commencing the day after having signed for the delivery of your item(s), quoting your order number. Refunds will be issued as soon as possible and in any event within 30 days of us receiving the returned item's. We will not be liable for the delivery cost's incurred by you. Items returned must be sealed in their original packaging and must not have been used or fitted. The items must be returned in full and any free products included in the sale, returned along with the items. You may cancel an order for services in the same way, within seven working days of the date of purchase, unless the services begin sooner i.e. you have already had your flooring installed at your request. Once you’ve chosen your floorcovering and are ready to order simply call into our store in Point Street and place your order. All payments are to Floor Style and will be processed through our physical store in Point Street, Larne. The following Credit/Debit Cards can be used: - Visa, Mastercard, Solo, Electron, JCB and Maestro and of course, cash. If you need to change an order then please email sales@floor.style and we will process your request. Please ensure that you give full details of your order including the order number with the email. floor.style allows you to search 1,000’s of flooring products by colour, brand, suitability, weave, width and size, so allowing you the maximum opportunity to find what you’re looking for quickly and efficiently. We will then keep you informed of the progress of your order by email. All our prices are inclusive of VAT and include free delivery by your Local Flooring Retailer - No hidden charges are to be found when you finalise your order. As we are "your local Internet flooring retailer" we only deliver and fit to County Antrim and Down post codes below. Standard delivery times are 3-5 days and fitting 5-7 days. (This will change during peak times) We will contact you by e-mail with available dates. Delivery and Fitting dates and times are given in good faith but cannot be guaranteed. We cannot accept liability as a consequence of late/early delivery. It is important there is a responsible person there to check for any visual damage to the goods on arrival. In the unlikely event that you receive damaged goods, or there are missing item(s) please make sure it is noted on the courier's paperwork. No claim for damages or wrong delivery can be made if the courier's paperwork is signed as "goods received in good condition". Any claim for damages noted or wrong delivery must be made in writing to us within 3 days of receipt of goods, failing which all claims shall be deemed to be waived. Lines in plain carpet can be natural manufacturing marks. Shading. All carpets and some rugs, regardless of yarn content and quality type may develop light and dark patches (sometimes refered to as "Pile Reversal"). This is caused by the uneven crushing of the pile during normal wear. This condition is know as "Shading" and cannot be prevented however well the carpet is made, it is not therefore considered a manufacturing fault. Shading in no way impairs the performance of the carpet and we cannot accept any responsibility for complaints caused by this condition. All carpets and some rugs, regardless of yarn content and quality type may develop light and dark patches (sometimes refered to as "Pile Reversal"). This is caused by the uneven crushing of the pile during normal wear. This condition is know as "Shading" and cannot be prevented however well the carpet is made, it is not therefore considered a manufacturing fault. 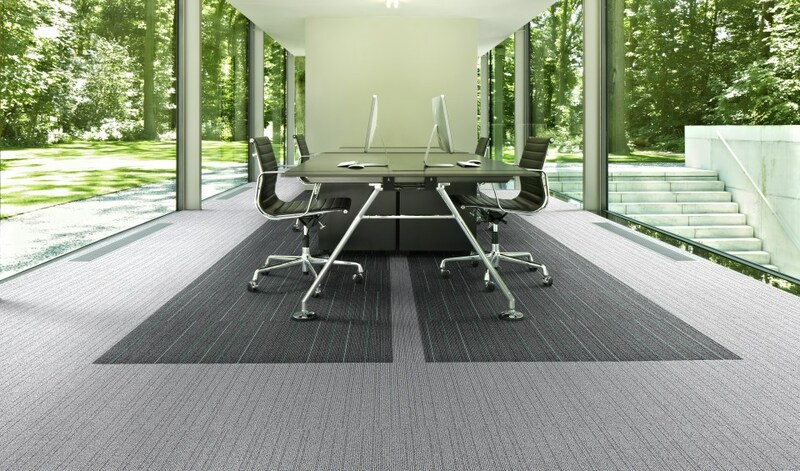 Shading in no way impairs the performance of the carpet and we cannot accept any responsibility for complaints caused by this condition. Lines in plain carpet can be natural manufacturing marks.